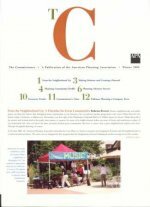 The Planning Commission meets on the second and fourth Tuesday of every month at 7:00 p.m. in the Lindon City Center, City Council Chambers, 100 North State Street. Residents are always invited and encouraged to attend these meetings. 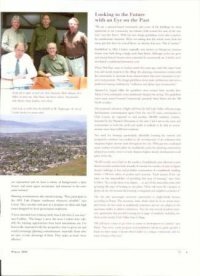 The Planning Commissioners are citizens of Lindon that are appointed by the Mayor and City Council to serve terms that last three years. 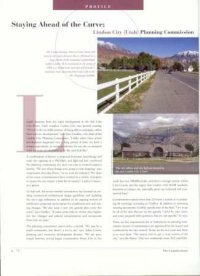 The Lindon City Planning Commission was recognized in an article that appeared in the Winter 2008 edition of The Commissioner, a national publication of the American Planning Association (APA). Click the pictures below to read the full article.